Get checking modeled after your business with the help of Free Business Checking from Bank of Cooperstown. Enjoy 500 free debits per month with more available at only 15¢ per transaction thereafter. 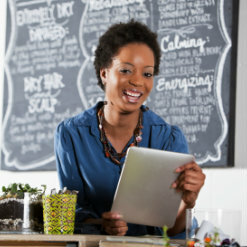 Free conveniences, like online banking, mobile banking, eStatements, and more, keep your business running smoothly. The only thing this account is missing: a monthly service charge. Give your small to mid-size transaction exactly what it needs by signing up today.